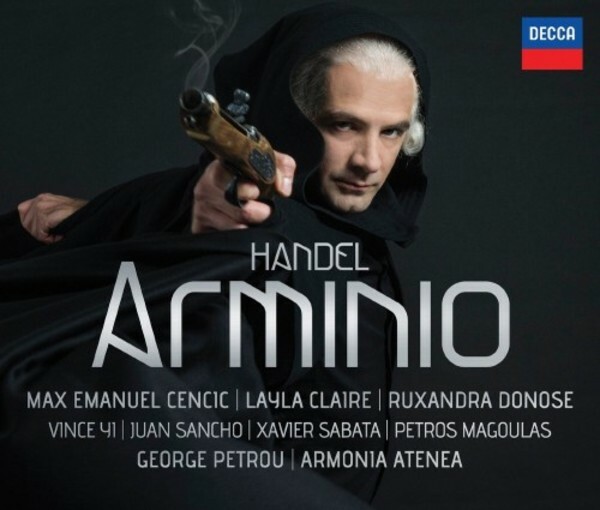 Described by one contemporary commentator as “a miracle”, and another as “in every respect excellent & vastly pleasing”, Handel's Arminio is ripe for reappraisal and new presentation. This Decca Classics release is the first ever complete recording of Arminio, with only one previous incomplete performance available. An heroic story, based on historical events occurring on the Germanic fringes of the Roman Empire, Arminio is now being revived in a new and ravishing production by Parnassus Arts under their artistic director Max Emanuel Cencic: a combination with an unequalled track record in Handelian opera seria, as witnessed by their multiple-award-winning staging and recording of Alessandro (from 2012 to date). In recent years Max Emanuel Cencic has become recognised as one of the world’s supreme countertenors: “Mr. Cencic is blessed with the finest countertenor voice of our day” (Opernwelt).